This is a sponsored post. Thank you Zazzle for supporting A House in the Hills, and to our readers for supporting our sponsors! 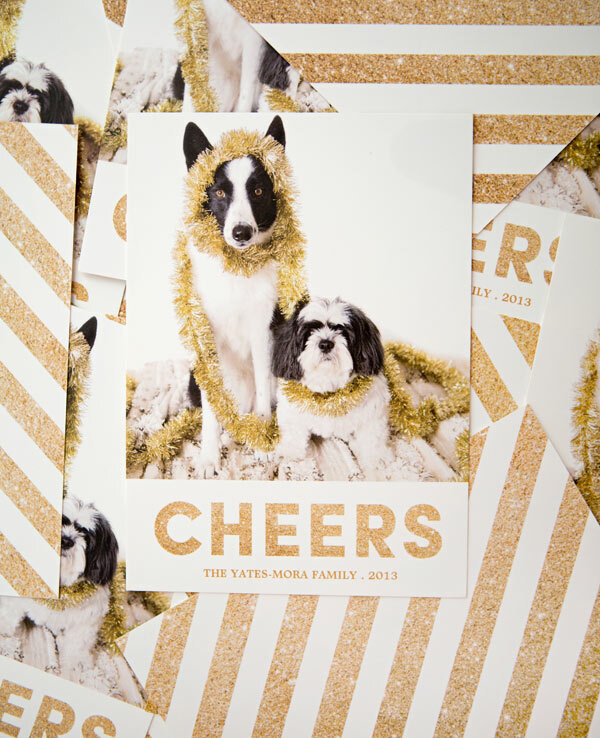 Holidays are made for you at Zazzle. Find cards you’ll covet at Zazzle! – Use items that you already have around the house to dress up your pup(s) for your holiday cards- think tinsel, Christmas ornaments, stockings, garland, wreaths, Santa hats, etc. – Start practicing with your pup a few days before the shoot to get them prepped. Make sure they’re comfortable with “sit” and “stay” and know that there’s a reward at the end for good behavior! May I recommend peanut butter? Works absolute WONDERS with our dogs. I’m pretty sure there’s nothing they wouldn’t do for a spoonful. – Start slow with the props to get your pup(s) used to having accessories while they’re practising their sit and stay. Remain patient if they rip off whatever you’ve got, replace it and firmly remind them to “stay”. Repeat and reward when they leave it alone for even a few seconds! Build up the length of time slowly and before you know it you’ll have one of these on your hands! – Choose a location to photograph your pup(s) that has limited distractions. I recommend somewhere in your house- the outdoors can be too full of exciting stimuli and make focusing a challenge. – Photograph your pup(s) using lots of natural light and a background that isn’t too distracting. Move furniture if necessary to get just the right spot! – If you don’t have a great camera, try shooting with your smartphone. The quality is amazing these days! I use Snapseed to edit right in my phone! Adjust the brightness, contrast and saturation and BOOM, your photo quality will improve by miles just like that! – Shoot lots of options, and keep shooting even when you think you’re done. You never know when your pup will make the most hilarious face that will MAKE the photo! – Don’t be too hard on yourself, or your furry family members. A photo of a pup chewing on a Santa hat could be just as cute as a pup wearing one- be flexible! – Don’t forget about your cat or other pets, holiday cheer doesn’t discriminate and neither should you! Zazzle is such a good time. Love it. And your cards. Super cute. Oh my goodness these are beyond adorable. So perfect for the holidays. Now I REALLY wish I had a dog! you know what seems astonishing? That these cards are made kind of.. Cork? Am I right? Cool!